if shadow and silver were sleeping on your katil what would anda do? If Silver the hedgehog randomly kissed you, what would anda do? If anda was Silver the hedgehog,what would anda do? sejak the way, i am sarahsonic1056 but i am the new file cause someone hacked to that account so i am going to keep the story up. tails: guys!!! i just found out that honey is being...mind controlled sejak some one. 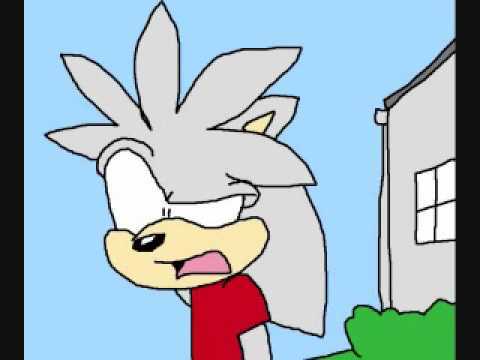 Hi there, I am Silver the Hedgehog. I am a hedgehog that comes from the future obviously, and I actually came here to this world to save my future though I'm just ignoring it and saving lives. Okay, let's just go on with this already. Okay, so I'm the main character and Shadow is the saat main character anda can say. Let's go! shadow: but i have a surprise for anda honey. honey: *gasp* a surprise... I Cinta SURPRISES! WHATS THE SURPRISE! silver: where are anda going. sonic: hei guys, did anda know Halloween is in 3 days. in part 2, shadow was called Emo 2 times and Amy was captured sejak eggman but honey saved the hari but honey was knockout and got her powers back. a comment was made to the question: What would anda do if silver was dying and his last final words to anda were 'I Cinta you', What would anda say back to him? Do anda hate it when people tease Silver?